Nothing beats a homemade, hand-crafted gift for the holidays. Instead of blowing a ton of money on expensive things for your friends and family, why not make them something they can enjoy for months out of your own kitchen? A steaming cup of hot chocolate, preferably with marshmallows on top (always the mini ones), reminds us of being kids on a cold night so this Homemade Hot Cocoa Mix is the perfect gift to show someone you really care. Having people over for Thanksgiving or going to someone’s house? Make this as your little way of showing your thanks. And don’t worry, since the recipe makes a ton, there will plenty left over for a big jar to keep in your cupboard. Emily is an editor by day and blogger / baker by night. Living in the beautiful state of Colorado, she has the added difficulty of making her recipes cooperate with the altitude, which can pose a number of problems for just about any part of the recipe from measurements to baking time. But, she is certainly up to the challenge with altitude-adjusted recipes for sweet tooth fanatics like today’s Salted Caramel Brownies (come on now, you wouldn’t say no to one of those) to cakes, cookies, and even a smattering of savory dishes. And don’t worry, for those closer to sea level, she’ll tell you what you need to know. Now, head over to She Makes and Bakes to see what Emily has cooking! Make sure to say hello to Emily on Twitter and Facebook, and Pinterest. 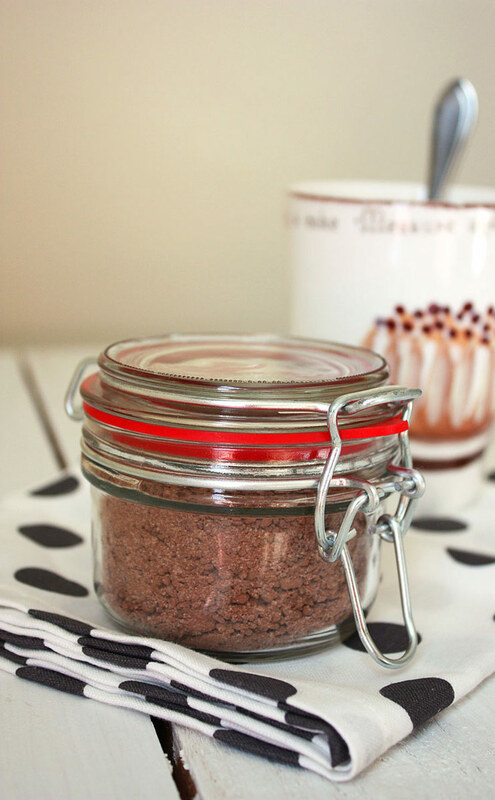 Here's a handy tip to help you make this Homemade Hot Cocoa Mix recipe.